Fact or Fallacy: Do Gin-Soaked Raisins Really Work To Alleviate Pain? More than 50 million American adults and around 300,000 children suffer from joint pain brought on by arthritis. Arthritis occurs in people of all ages and sexes, but it the most prevalent in women. It is the leading cause of disability in the United States with numbers steadily increasing. According to the Arthritis Foundation of Atlanta, there are over one hundred different types of arthritis. Degenerative arthritis is the most common, followed closely by inflammatory arthritis. One of the most painful and least understood forms of arthritis is inflammatory arthritis, which is actually not related to aging. Rather, it is an autoimmune disease. In people with autoimmune diseases, the body mistakenly attacks itself. Usually, those who suffer from one autoimmune disease will develop more throughout the course of their lives. For instance, a person with Hashimoto’s (a thyroid autoimmune disease) may very well develop a number of other autoimmune diseases, like arthritis. When inflammatory arthritis is present, the patient will experience painful inflammation of numerous joints and other parts of the body. The cause of inflammatory arthritis has not yet been discovered, although there is some debate on how to treat the disease, including eating gin-soaked raisins or an autoimmune paleo diet. Anecdotal evidence suggests that avoiding inflammatory foods and eating a strictly autoimmune paleo diet can significantly improve symptoms, although very few studies are being performed to support these claims. With inflammatory arthritis, pain and inflammation come and go — sometimes without warning. This makes it hard to perform even the simplest of daily tasks. In some cases, joints may become permanently deformed. This makes it extremely difficult for those affected by it to live a normal life or even work jobs that demand physical strength. The cost of doctor visits, physical therapy, prescription medication and more can range from $600 to $10,000 per month. In severe cases, a joint replacement may become necessary. To date, there is no known cure for inflammatory arthritis. Conventional treatment usually involves a combination of patient education, rest, exercise, joint protection and medications — many with uncomfortable side effects. The earlier the condition is diagnosed, the more effectively people seem to respond to treatment. Like any chronic condition, those in pain may search tirelessly for anything to improve their quality of life. This includes an assertive push towards alternative, and even folk remedies. Seeking out alternative remedies for arthritis seems worthwhile, since pharmaceutical treatments often do not serve the patient well, especially in the long term. A study that examined arthritis patients following 20 years of conventional treatment found that 35 percent had died, and 19 percent were severely disabled. The study found that function improved over the early years of treatment, but a considerable decline was seen between the 10 and 20 year mark. Medication never induced remission of the disease. This is likely because these pharmaceuticals are used to ease symptoms or even block the pain, but they do not facilitate or the support the body’s ability to heal itself. With the rather dark prognosis for medicating arthritis with pharmaceuticals, it is perhaps no surprise that many people turn to the Internet in an effort to find relief for their symptoms. Just a quick scan reveals a number of home and alternative therapies with noted success to relieve the pain and inflammation associated with arthritis. These include such things as magnetic therapy, acupuncture, ginger, Epsom salt, turmeric, dandelion leaves and more. While some of these methods can be pricey, others are easy enough to come by. They may well be part of a well-stocked kitchen and their use can do very little damage. It should be noted that even home remedies can sometimes cause side effects in very sensitive people, however. It is advisable to take notes of any and all changes you experience, positive or negative. This will give you a great idea of what works and how much is too much. Are you lucky enough to have a family recipe of a tincture that was passed down through generations — maybe even gin-soaked raisins? With such home remedies you likely won’t find a whole lot of research. But don’t we all just love testimonials from our very own loved ones who swear by their own tinctures? Interestingly enough, many long-standing folk remedies eventually gain the attention of scientists who work hard to figure out how and why they work. This happened with such remedies as lavender for better sleep and chicken broth for colds, both of which are well supported by a growing library of scientific research. This very special remedy is all the rage these days, but it has actually been around for a while. Plus, both juniper berries (used to make gin) and raisins have a long history of health benefits. Using gin-soaked raisins for relieving arthritis pain was first popularized by the late radio celebrity Paul Harvey, who mentioned them on his show. Harvey spoke about the raisins in 1994. He noted that the practice of soaking raisins in gin for pain relief had been around for over twenty years at that time. Others state that the practice dates back even earlier than this. Paul Harvey also read letters from his audience who had experienced positive results with the raisins. This popularized the folk remedy even more. The method is simple. It involves putting golden raisins in a shallow bowl and pouring just enough gin to cover them on top. Once the gin has totally evaporated (usually about one week), the raisins can be moved to a glass jar with a lid. It has been suggested that persons afflicted with chronic pain consume 10 soaked raisins daily. Why combine these two ingredients? It is not truly understood what makes the combination of gin and raisins so powerful. However, it is believed that combining certain nutrients can create a powerhouse of a remedy. We are still just understanding how all the macronutrients in a balanced diet work together. What we do know is that the combination works better, sometimes cooked and sometimes raw, to provide the full benefits of food for the human body. So why not give raisins soaked in gin a try? Swedish researchers followed 2,900 adults who had inflammatory arthritis. They found that those who were light to moderate drinkers showed a slower advancement of joint damage compared to non-drinkers. Gin is flavored with juniper berries, which are rich in vitamin C, catechins, alpha-terpineol, alpha-pinene, betulin caryophyllene, limonene, menthol, rutin and delta-3-carene. These are all anti-inflammatory compounds. This type of simple natural medicine may be more effective than the refined, targeted substances in medications because the properties of the gin and raisins are working together. The exact causative pathways of arthritis are unknown. There may be many mechanisms in the body that are affected in the development of arthritis. Perhaps the synergy between the various natural compounds in the drunken raisins remedy creates a communication with the body to allow it to heal on a complex level that modern science cannot yet analyze or address. Although these raisins are often called “drunken raisins,” it is unlikely that you will feel any effect from the small amount of alcohol they absorb. Interestingly, gin was originally used as an herbal medicine and not as an alcoholic drink. Even now, gin is commonly used as a solvent in traditional medicine. It extracts active ingredients from leaves, roots, barks and other herbs. Soaking raisins in gin allows all of their therapeutic properties to be readily absorbed and used. Some of the medicinal compounds in plants are not water soluble so they do not get extracted when we eat them; rather they are alcohol-soluble. Extraction via alcohol makes them available for our bodies to use. Whether or not drunken raisins are a proven remedy, studies have definitely drawn a link between nutrition and the development of arthritis. Dr. Paul Jaminet, the author of The Perfect Health Diet, recommends keeping an eye on the level of certain nutrients in the diet of arthritis sufferers. He explains that vitamin K2 supplementation may be helpful, as this prevents improper calcification of the joints. The next most important nutrients are magnesium, vitamin D and vitamin C.
Dr. Jaminet also emphasizes the importance of consuming carbohydrates for healthy joints. For some people, a low carbohydrate diet may cause a chain of events resulting in joint pain. A possible explanation is that glucosamine, the substance that supports joint health, is made from glucose. The body can produce glucose by breaking down proteins and fats. However, this is a labor-intensive process. People can prevent it by simply consuming a healthy amount of complex carbohydrates like starchy root vegetables or rice. Gluten is often pointed out as a contributor to arthritis pain. This is because it can cause an autoimmune response where the body starts to attack its own tissues. Nightshade vegetables, which include peppers, eggplants, tomatoes and potatoes, are another potential cause of autoimmune-based arthritis. Nightshades are covered by a skin that contains alkaloids. These alkaloids act like a natural bug spray to protect the plant. In healthy people, these alkaloids won’t cause any damage. But for those with autoimmune diseases, alkaloids can be quite toxic and cause inflammation. These are important avenues to investigate for those dealing with chronic arthritis pain. Many sufferers find that dietary and nutritional adjustments can help lessen or entirely remove arthritis symptoms. 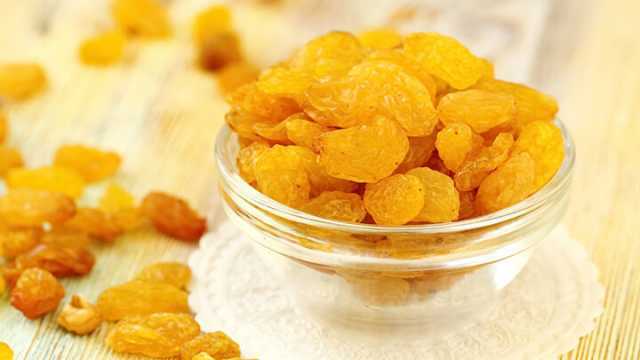 Whether or not you believe that soaking raisins in gin will bring you any relief from inflammation and pain, it appears as though a great number of people have found relief in this home remedy. More and more are trying it daily. The only way to find out if it helps you is to give it a try! Always talk to a medical professional before trying any folk remedy. If you are allergic to sulfates, this is not the best remedy for you. Raisins will keep well in the refrigerator. People report a noticeable improvement in pain within one to eight weeks. Hey Buddy!, I found this information for you: "Fact or Fallacy: Do Gin-Soaked Raisins Really Work To Alleviate Pain?". Here is the website link: https://www.thealternativedaily.com/fact-fallacy-gin-soaked-raisins-really-work-alleviate-pain/. Thank you.